Each year the Franklin Band hosts the Annual CarWash Extravaganza! This gives our community the opportunity to support our band program and get their car washed. This year’s car wash will be held on May 4th. 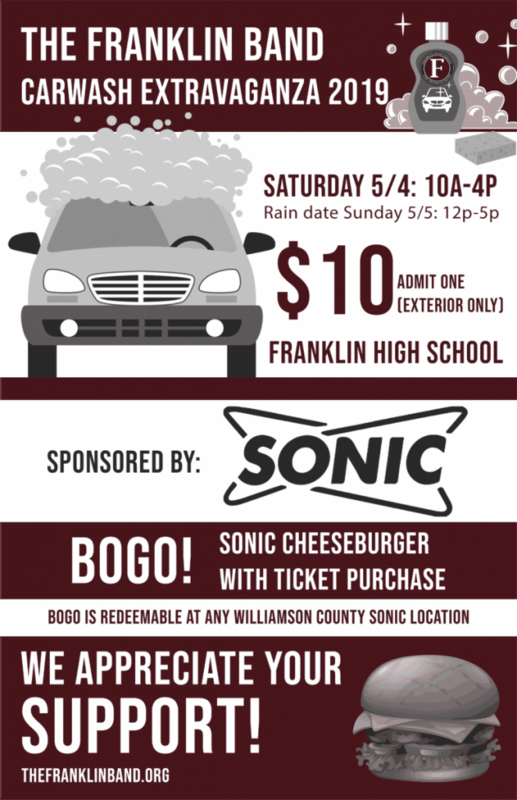 Come out and support us, get your car washed, and receive a BOGO Free Cheeseburger at any Williamson County Sonic location. Buy your tickets, $10 per car wash, from your favorite band member, OR you can purchase below.